Puducherry Lieutenant Governor Kiran Bedi on Wednesday asked the Center to constitute independent investigation and vigilance agency following a surge in investment. Taking to Twitter, Bedi drew the attention of both President Pranab Mukherjee and Prime Minister Narendra Modi to the issue. "Puducherry is seeing a surge in investmt.To ensure Fin/ADM integrity it urgently needs a brch of HC,CBI,Indp CVO @RashtrapatiBhvn @PMOIndia," she tweeted. 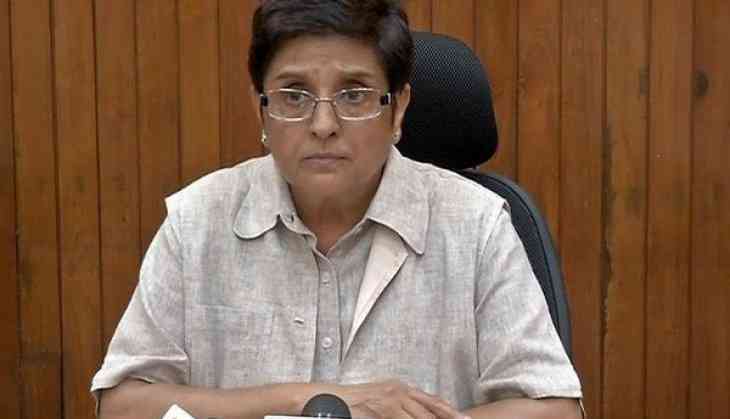 Posting few reports published in the leading daily, Bedi stated that a union territory is the responsibility of the Center and it must get social audits of its administration and financial management. "A UT is a responsibility of the Central Govt even if it has an elected assembly. GOI must get social audits of ts ADM & FinancialManagement," she added. A UT is a responsibility of the Central Govt even if it has an elected assembly. Recently, the former IPS officer had stated that her office had written to the Central Bureau of Investigation (CBI) demanding a probe into the alleged scam in the admission of post-graduate students under the government quota in the union territory. Bedi also urged to constitute a bench of Madras High Court in the region to deal with public interest litigations (PILs) and other issues.